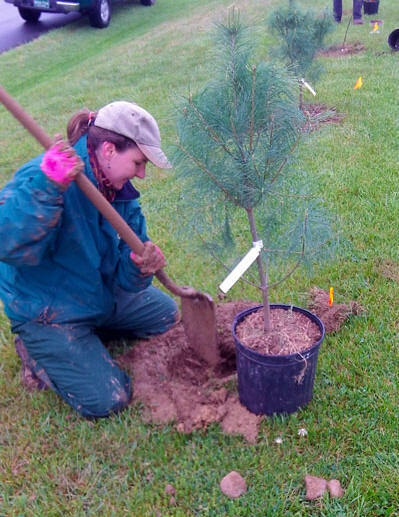 The newly formed South Branch Watershed Partnership (SBWP), in collaboration with Romney Elementary School and Potomac Center Inc., was the recipient of a WV Project CommuniTree kit to plant 150 trees at the Potomac Center in Hampshire County, West Virginia. The “Stock Diversity” kit they chose included a diverse mix of 21 tree species in a variety of stock sizes. Linda Cacapardo, Romney Elementary School Teacher and member of the SBWP, completed the application and organized the project. A dedicated group of 10 planted roughly 50 trees and saved 100 bare-root stock to be planted by Mrs. Cacapardo elementary school students the following week. The project was well received by all parties involved and we look forward to working with all of the groups again in the future. 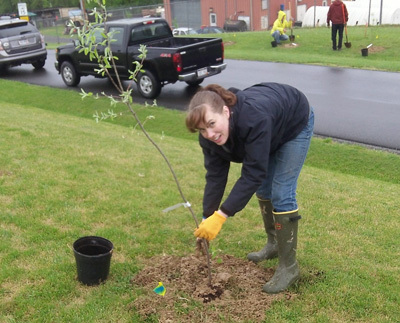 Mrs. Cacapardo, her students, and the SBWP were assisted by CommuniTree Representative Melissa Merritt from the Potomac Valley Conservation District and Alana Hartman (WVDEP, at left). 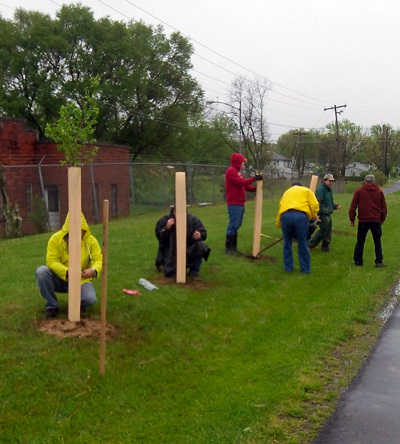 The 150 trees planted at this event serve as a sound and visibility buffer from neighboring roads. As they grow they will increasingly reduce stormwater runoff and grow the Potomac Center’s and Romney's urban tree canopy. Melissa playing in the mud. 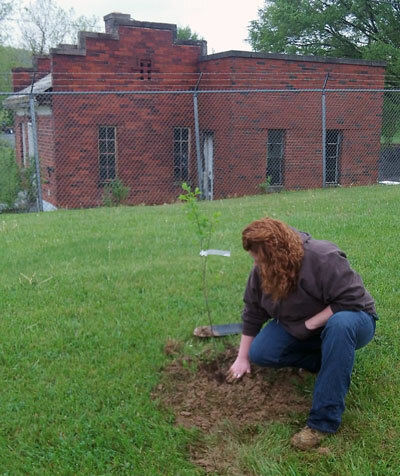 WV-DOF Urban Forester Jessica Wise. 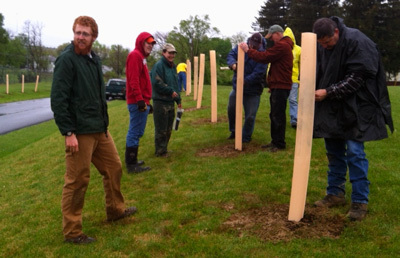 Installing tree tubes down the line. 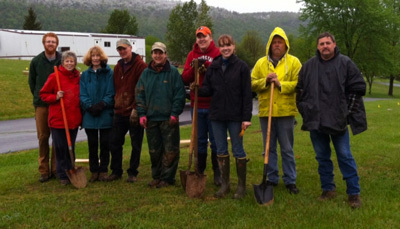 Rain or shine, we still got a group photo!